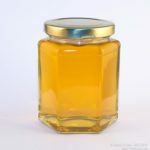 I usually sell honey in 1lb ’rounds’, the classic honey jar with a gold screw lid. These jars are easy to fill, with no nooks and crannies for bubbles to get stuck. 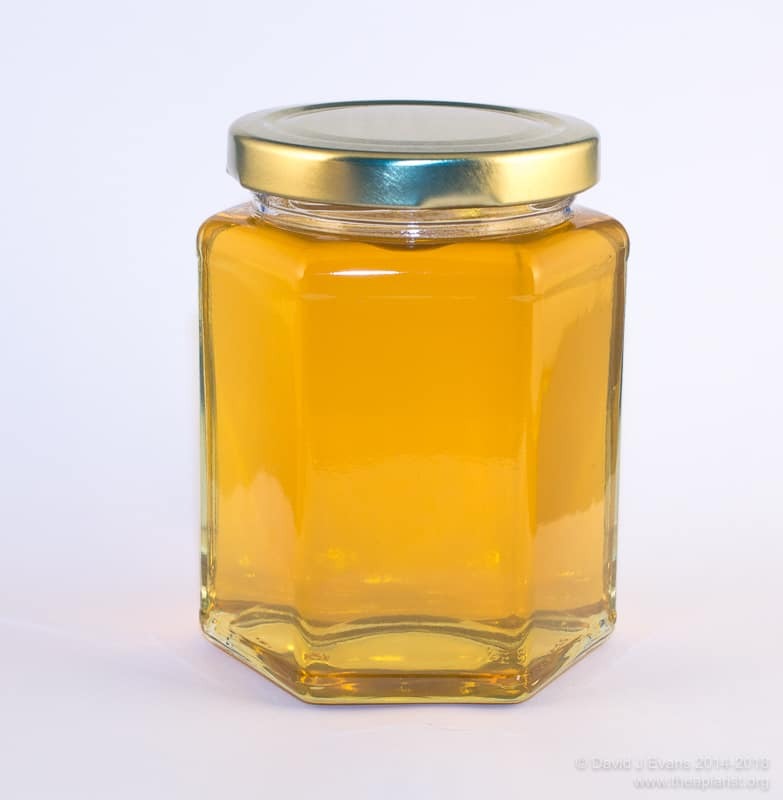 However, many beekeepers are now selling in 12oz hex jars. These look a little fancier and are usually sold at a premium price. They’re also a bit harder to fill neatly as bubbles can easily get trapped at the shoulder. Since I have several hundred 1lb rounds and a similar number of printed labels it’ll be a year or so before I have to make a decision to stick with the rounds, or switch to the smaller jar. My small-scale bottling typically involves preparing a 30lb bucket of honey in my warming cabinet, bottling about 28lb (using my bucket tipper) for sale with the bubbly dregs going into unlabelled jars for home consumption, cooking, marmalade or making mead. 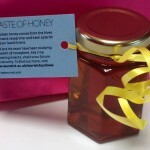 I rarely get orders for more than 25lb of honey at a time (but will happily accept them). 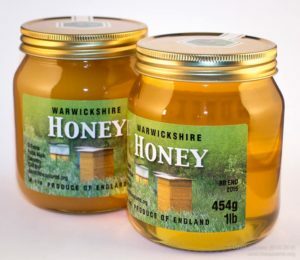 However, I recently received an order for 250 4oz hex jars of local honey to go into “goody bags” for guests celebrating the 50th Anniversary of the University of Warwick as I have bees in the university apiary and on the surrounding farmland. 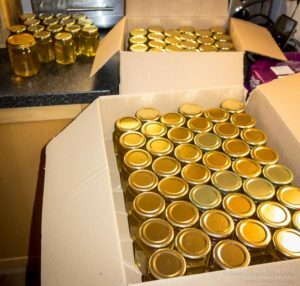 This entry was posted in Beekeeping, Honey, Labels and jars and tagged bottling, honey on February 3, 2015 by David. 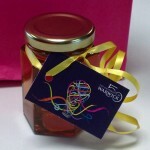 250 jars, nice! Good to make some money towards beekeeping costs, equipment’s not cheap!